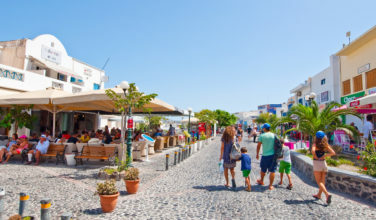 Because of the sheer size of the island of Crete in southern Greece, it is all too easy to believe that visitors will experience constantly busy beaches and resorts. 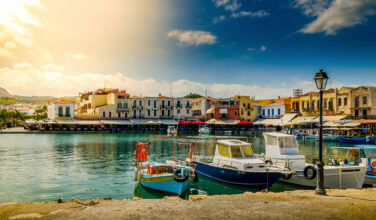 While there are places on the island that do feel a little crowded, especially during peak tourist season, Crete has a remarkable way of drawing the visitor in, especially cities like Chania, which appeals to both locals and travelers. Known as one of the best beaches in the area, visitors report that the beach is extremely clean and has plenty of soft sand to make the day enjoyable. The water is also clear and a sparkling, crystal blue. This is a great beach for lounging in a sun bed, going for a walk, and swimming in the gentle waters. There are also some services here, such as bars and tavernas. An extra bonus is that it is very easy to reach this beach using public transportation. Nea Chora Beach is one of those places that is suitable for families as well as those who are simply looking for a good time. Locals are attracted to this beach, as well, and there is more than enough sand to accommodate everyone, even during the peak season. You can easily rent an inexpensive sun bed here, or consider eating at one of the beachside restaurants that also offer sun beds and also menus for snacks and drinks. This beach is conveniently located near the Old Town of Chania. 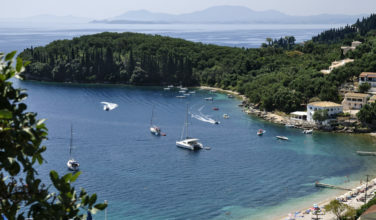 If you don’t mind journeying a little bit away from Chania, Loutraki Beach is one that you simply won’t want to miss. The beaches that are near Chania, while convenient and fun, do tend to get a little crowded during peak season. If you want to avoid the crowds, it is much better to find some of the beaches that are a little more isolated. Although Loutraki is 12 kilometers or so away from Chania, it is still close enough to make for a nice beach day. The beach is gorgeous and filled with soft sand and clear, warm water. There are still plenty of people here, just not as many as some of the other places near Chania. 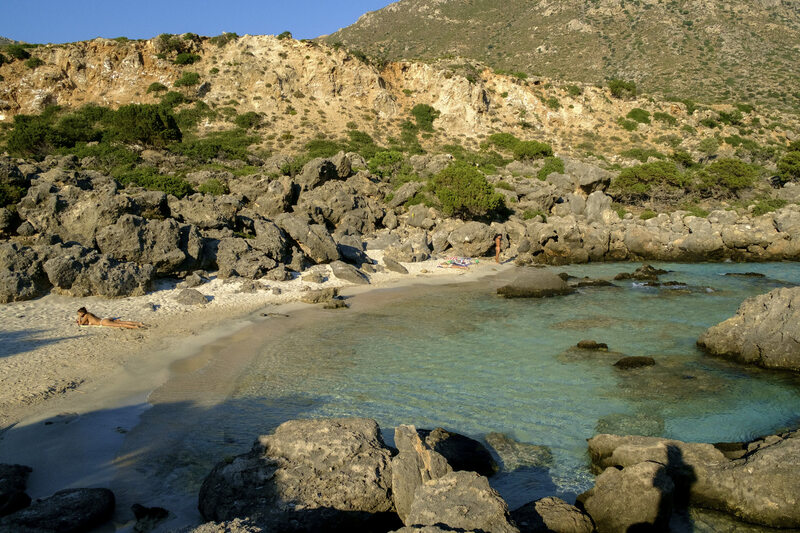 This beach, which is located on Souda Bay, is an easy 7 kilometers from Chania. There are some resorts in the nearby area, though, which means that the beach can be on the busier side, especially during certain times of the day. There are also plenty of facilities here, such as umbrellas, sun beds, opportunities to buy food, and places to use the toilet. It is an excellent beach for swimming and lounging in the sun. These beaches are worth considering while visiting Chania, Crete!